The Damned are widely credited—and widely take the credit—for being the first punk rock band from the U.K. to cross the pond: first punk rock band to release a U.S. single (“New Rose” in 1976), first to release an album (Damned Damned Damned in ’76), and first to tour the U.S.
Drones aren’t just for drunk-flying onto the White House lawn. They’re also for getting killer shots of NYC during the snow (Gothamist unearthed the one above) and as the organizer of the first annual New York City Drone Film Festival told us recently, they make for some seriously jaw-dropping cinema. The film fest has now unleashed the list of shorts that will be in competition March 7 at the Directors Guild of America Theater. The fest is sold out, but don’t worry — we’ve found some of the contenders online and have embedded them for your viewing pleasure below. Take a break from scouring Airbnb for remotely affordable places to stay during SXSW, cuz passes just became available for a couple of other first-rate festivals. First off, early-bird badges went today for Brooklyn’s own Northside Festival, set for June 8 to 14 this year. Prices are $25 for Film (around 50 films are expected), $70 for Music (around 400 bands), and $245 for Innovation (around 150 speakers). If you’re the type to get excited about hacker documentaries, then clear your calendar between Nov. 13 to 20, because the Doc NYC festival is once again bringing a slew of true-dat films to Chelsea and the Village. This year’s fest features 19 world premieres, 7 US premieres and 40 New York City premieres. And that’s just among the 92 features — there will also be 37 shorts and 24 panel discussions and classes. The Greenpoint Film Festival just passed, but there’s still more North BK festing to be had. Chain your fixie to the fence for this wildly popular outdoor film fest featuring food vendors, live music curated by Todd P, and movies at sundown. Between Onur Tukel’s Summer of Blood and Jim Jarmusch’s Only Lovers Left Alive, artsy vampire films are officially a thing. Ana Lily Amirpour’s debut black-and-white feature, about a lonely, skateboarding vampire in hijab who haunts a fictional Iranian town, caused a stir when it played at Sundance. 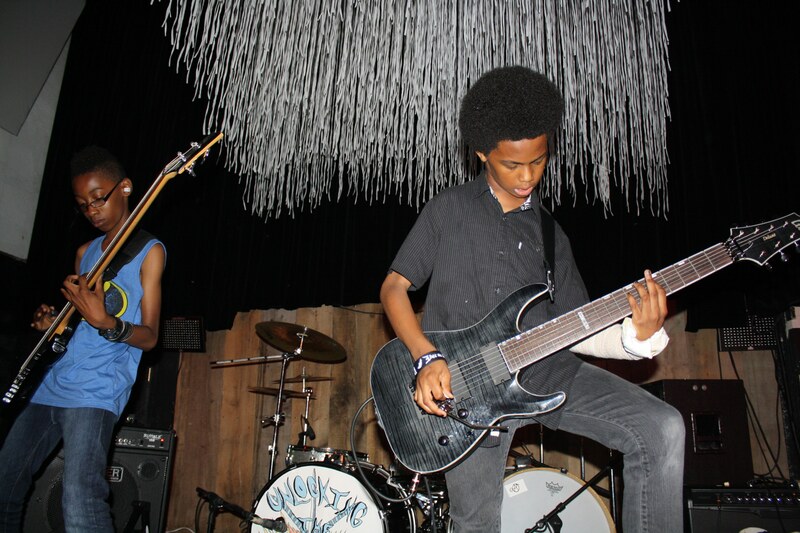 Sadly, this documentary about the world’s most famous sixth-grade metal band (straight outta Flatbush) is only three minutes long, but if Unlocking the Truth’s set at Cameo was any indication, these will be a monstrously heavy three minutes. Brooklyn filmmaker Adam Newport-Berra, who has shot music videos for the likes of the Dirty Projectors as well as the feature First Winter, climbs into the director’s chair with a mumblecore-esque Kickstarter-backed film about a brother (or is he?) who throws a wrench into her sister’s relationship during a Thanksgiving dinner. Williamsburg’s own Reggie Watts has a role. Films on the Green, a free outdoor French film festival put on by the French embassy, presents “La Haine,” a drama starring Vincent Cassel.